← What happens in a high-tech smart city when the lights go out? This is an unusual and important issue of the journal. We are delighted to carry an article by Bruce Appleyard in the United Sates which is his introduction to a new edition of Livable Streets. Livable Streets by Donald Appleyard was published by the University of California Press in 1981 and is one of the most important transport texts published in the last 40 years. It immediately identifies the street as an important social milieu and an asset of the greatest importance for sociability, neighbourliness, friendliness and community life. Donald Appleyard made a huge leap forward leaving the tawdry world of transport economics, cost-benefit analysis, highway construction and foolish notions about higher car based mobility feeding higher quality of life well behind. It establishes a new paradigm and to the shame of most transport professionals and politicians making decisions on transport choices its message is diluted, misunderstood and ignored. These two objectives capture a great deal of the spirit and purpose of World Transport Policy and Practice and the revised edition of Livable Streets will be warmly welcomed by everyone who lives on a street and would like to see life made better by celebrating the quality of those spaces rather than treating them as sewers for the rapid movement of lumps of metal. This article is followed by a UK application of the Donald Appleyard methodology. Joshua Hart and Graham Parkhurst report on an original empirical application of “Livable Street” in Bristol and confirm the original findings about the negative impacts of traffic on sociability and conviviality and the need to assert a new transport paradigm that puts streets and human life at the top of the priority list and not somewhere below the level of a car driver speeding through a residential area to visit a gymnasium in order to keep fit. Finally we have another major contribution from Peter Newman and Jeff Kenworthy. In this article they identify the concept of “peak car use” and speculate that “we may now be witnessing the demise of automobile dependence in cities”. The authors identify the scale in decline of car use and discuss 6 possible reasons for the decline and its significance for the future of planning, engineering, urban design and financing. If this phenomenon is well established and can be relied on to continue through the next 30-40 years then we can confidently look forward to Donald Appleyard’s human centred desires becoming a global reality and that will be something to celebrate. Over the years, his interests became focused on the livability of cities and neighborhoods, particularly upon streets. Appleyard was that rare combination of innovative path-breaking academic researcher and quiet, insistent activist, professional, intent on getting things done–things that made cities better places for people to live. He was a person of ideas– especially concerned with expanding the scope of urban design to encompass thinking from the social sciences. Appleyard’s research dealt in large measure with subjects including the effects of traffic upon the lives of local residents, the physical characteristics of cities as fulfilling and joyful places to live, how to manage traffic in residential areas, conservation of neighborhoods and the like. He was an innovative and creative researcher in exploring these interests, which accounts for his considerable impact on the field. His methods involved the development of new survey techniques to relate people’s perceptions and values to the design process and to resulting physical environments. He was largely responsible for the pioneering environmental simulation laboratory which permits testing and comparing different environments and designs by use of models and video photography where viewers can experience a simulated environment as if they were in it. Examples of the simulation laboratory work include: making films of the effects of future high-rise development on the San Francisco skyline, demonstrating the neighborhood impacts of alternative transportation technologies, and evaluating the impact of a controversial interstate highway. Professor Appleyard’s work was known throughout the world. He was invited to lecture at universities in more than forty countries. 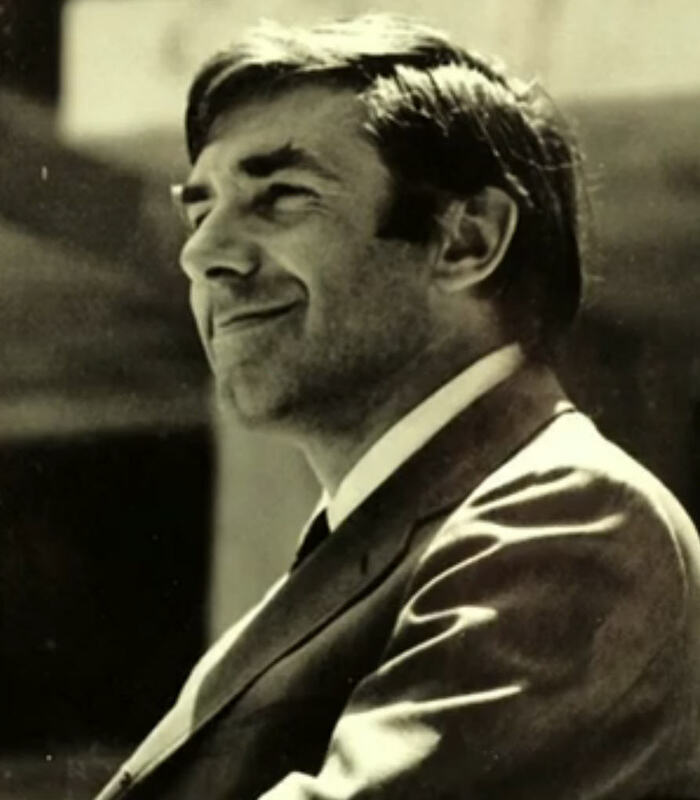 At Berkeley, his teaching was central in shaping the education of a new generation of professionals sensitive to the physical environment as people experience it. He authored more than one hundred articles and professional reports and a host of books, including The View from the Road (1963), Planning a Pluralistic City (1967), The Conservation of European Cities (1979), Improving the Residential Street Environment (1981), and Livable Streets (1981). Of his writing, Grady Clay, Editor of Landscape Architecture magazine, calls his book Livable Streets, “by far the most thorough and detailed work on urban streets to date, offering precise ammunition for activists and citizens for years to come… as a resource for the future, it is a classic.” At the time of his death, Appleyard’s research and writings were taking him in new, but related, directions, including a major work on the study of environmental symbolism. Donald Appleyard is survived by his wife, Sheila, and their four children: Justin, Moana, Bruce and Ian. He is survived, too, by thousands of people who may not have known him but whose environments and lives are more joyful and satisfying because he helped to plan them–humanely. In the late 1960s Appleyard conducted a renowned study on livable streets, comparing three residential streets in San Francisco which on the surface did not differ on much else but their levels of traffic. The 2,000 vehicles per day street was considered Light Street, 8,000 traveled on Medium Street and 16,000 vehicles passing down Heavy Street. His research showed that residents of Light Street had three more friends and twice as many acquaintances as the people on Heavy Street. Further, as traffic volume increases, the space people considered to be their territory shrank. Appleyard suggested that these results were related, indicating that residents on Heavy Street had less friends and acquaintances precisely because there was less home territory (exchange space) in which to interact socially. Light Street was a closely knit community. Front steps were used for sitting and chatting, sidewalks for children to play and for adults to stand and pass the time of day, especially around the corner store, and the roadway for children and teenagers to play more active games like football. Moreover, the street was seen as a whole and no part was out of bounds. Heavy Street, on the other hand, had little or no sidewalk activity and was used solely as a corridor between the sanctuary of individual homes and the outside world. Residents kept very much to themselves, and there was virtually no feeling of community. The difference in the perceptions and experience of children and the elderly across the two streets was especially striking. Appleyard was one of the first people to use image mapping, a research tool for examining particular transportation and planning issues, when studying street livability in the 1960s. Residents were presented a base map of their neighborhood’s building footprints and a companion image of the streetscape. Pieces of tracing paper were laid over the building footprint section of the map, allowing the participants to respond, by drawing directly on these pieces of paper, to questions regarding their feelings about their home territory and their neighboring patterns. Appleyard was thus able to capture and compare the environmental perceptions of residents from various streets. The maps were effective at getting people to speak freely about their perceptions, views and feelings of their street and neighborhood. Through a companion survey, the participants were asked additional questions about how traffic affected such things as tenure rates, preferences and comfort levels. The image maps also served to display collective images of all responses, visually conveying the study findings. Appleyard has written about the various stakeholders involved in the everyday making and planning of places, neighborhoods and cities. He boldly expressed the power differences that too often govern placemaking processes, when decisions are made by and in the interest of the socially, mentally, and physically strongest and solutions are evaluated for economic short-term benefit only. He was outspoken about the importance of truly democratic, bottom-up placemaking, asserting that all parties that have an interest in a place need to contribute to decision-making, and that weaker parties need to be ensured that their interests are fully represented. Appleyard emphasized that on downtown streets where power differences are greatest, weighted priority should be given to groups that take up less space but greatly enhance public life and interaction, namely small establishments, pedestrians and those who have no choice but to be there. 4. 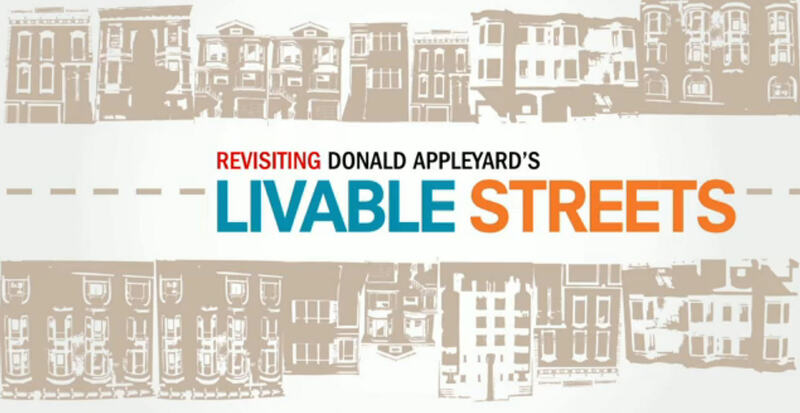 Revisiting Donald Appleyard’s Livable Streets from Streetfilms on Vimeo. Improving the Residential Street Environment, with DT Smith, Federal Highway Administration: Washington, DC, 1981. Livable Streets, Berkeley, CA: University of California Press, 1981. The Conservation of European Cities, (editor) Cambridge, MA: MIT Press, 1979. Planning a Pluralistic City, Cambridge, MA: MIT Press, 1967. The View from the Road, Cambridge, MA: MIT Press, 1964. “Identity, Power and Place,” in Fifty Years of City and Regional Planning at UC Berkeley: A Celebratory Anthology of Faculty Essays, Department of City and Regional Planning at the University of California Berkeley, 1998. “Toward an urban design manifesto,” with Allan Jacobs, in The City Reader, edited by R. LeGates and F. Stout, London: Routledge, 1996. 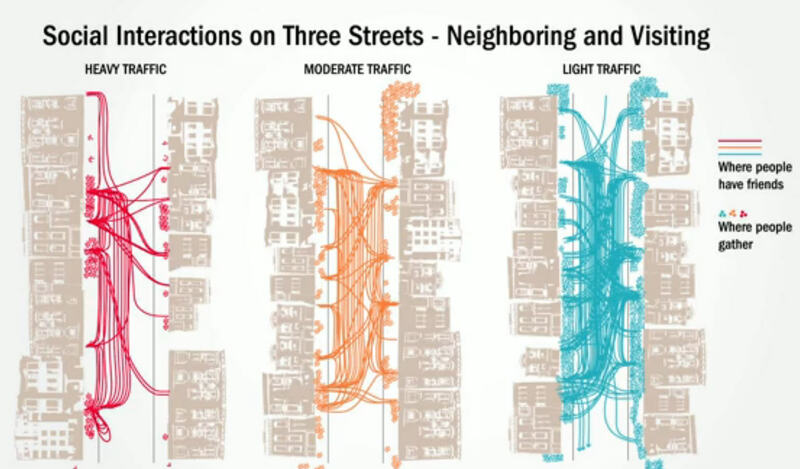 “Livable streets: protected neighborhoods?”Urban Design International, vol. 5, 1980. “The environment as a social symbol: within a theory of environmental action and perception,” Journal of the American Planning Association, vol 2, 1979. “Livable streets: protected neighborhoods,” Ekistics, 1978, 273. “Environmental planning and social science: strategies for environmental decision making,” (working paper) University of California. Institute of Urban and Regional Development, 1973. “Social and environmental policies for transportation in the 1970′s,” (working paper) University of California, Institute of Urban and Regional Development, 1971, 161. 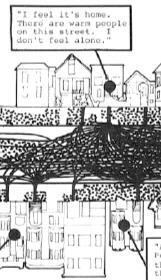 “Styles and methods of structuring a city,” Behavior, 2:100-117, 1970. Anthony, K.H., “About him: Major themes in the work of D Appleyard,” Environment & Behaviour, 4/1. D. Cuff, “The writings of Donald Appleyard,” Places 3, 1984. This is one of the advantages of being the editor. So from the specific perspective of our Safe Streets 2012 challenge, let me share with you in a few words what I see as among the key principles we have learned through the work and the insightful perspectives developed over the years by Donald Appleyard, and which we very much need to keep to the fore in all our work on this in the year ahead. For safe streets and happy lives, if I read Appleyard correctly, it’s pretty straight-forward. We need to create situations in our cities marked by: (a) less traffic, (b) much slower traffic and (c) a lot more human activity out on our streets. We should never forget this. In subsequent profiles in this series we shall hearing about the work and contributions of a small but very important group of thinkers, teachers and actors who have separately and together redefined the principles, policies and practices that shape the future of this important field. Among them, Louis Mumford, Jane Jacobs, Ivan Illich, Donald Appleyard, William Vickery, Albert Hirschman, Hans Monderman and most latterly our regretted friend Lee Schipper. Should you wish to lend a hand with any of these profiles, it would be good to hear from you. This entry was posted in Agenda/defining, Aggresion, Fewer cars, Original thinkers, Shared space, Slow down, Speed. Bookmark the permalink.